Need custom LabVIEW programming, LabVIEW Testing and manufacturing automation software development? CTI is a leading custom LabVIEW software development company with over 20 years of experience. We pride ourselves in creating the cleanest, most readable source code that will meet your application requirements today and into the future. From the simple and small to the large and complex, CTI can help you reach your LabVIEW programming goals. 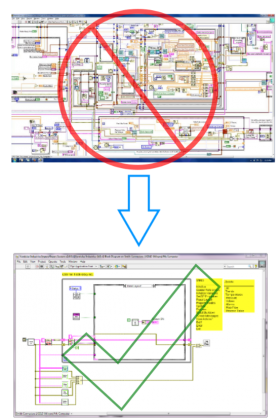 Need LabVIEW Code Cleanup? CTI can help. Do you have LabVIEW code that was poorly written and doesn’t perform well? Need to add features to existing code but are in over your head? Let CTI save the day and clean up your existing codebase, converting it into a clean, readable architecture that will perform better and allow for updates. 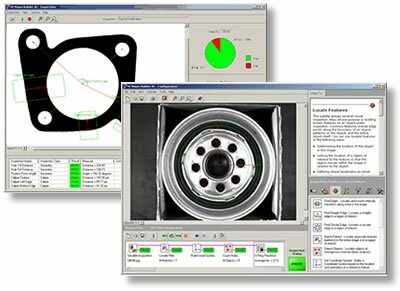 For simple to moderate-complexity machine vision tasks, National Instruments’ Vision Builder for Automated Inspection (VBAI) is a great choice. CTI can help choose the right hardware as well as develop scripts to automate your inspection task. Gauging, Presence Detection, Pattern Matching, etc. 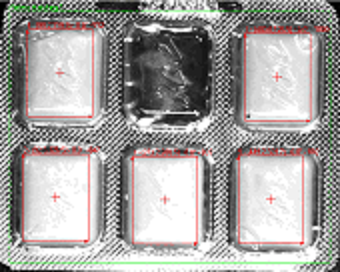 Access over 100 powerful machine vision tools including geometric matching, optical character recognition (OCR), and particle analysis to locate, count, measure, identify, and classify objects. Acquire and process images with any NI frame grabber, NI Compact Vision System, NI Embedded Vision System, NI Smart Cameras as well as USB3 Vision, GigE Vision, IEEE 1394 cameras, and USB DirectShow cameras. Set up complex pass/fail decisions and communicate inspection results over digital I/O, serial, Modbus, or Ethernet protocols. Display images, measurements, and results using the built-in deployment interface or customize your own. If more complexity is required, VBAI scripts can be converted into LabVIEW code for continued development and access to more features. Copyright © 2019 - All Rights Reserved Coleman Technologies, Inc.